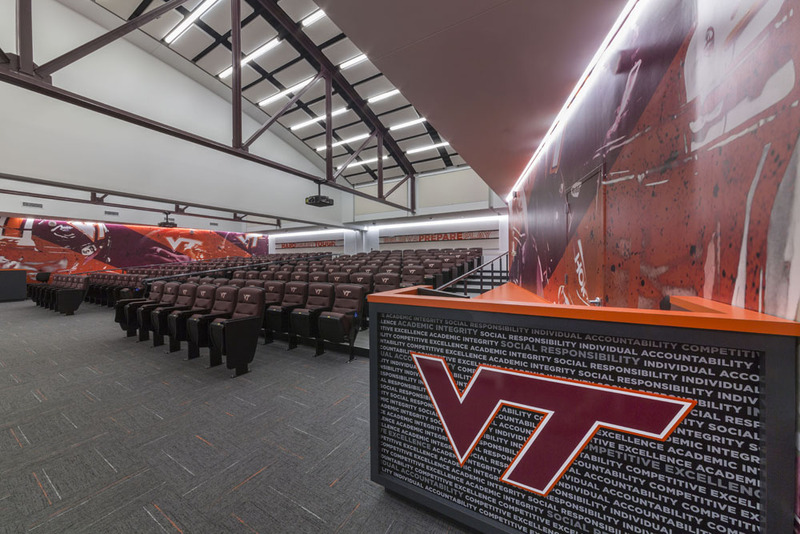 Virginia Tech Football Team Meeting Room was completely redefined from the original late 90’s construction. 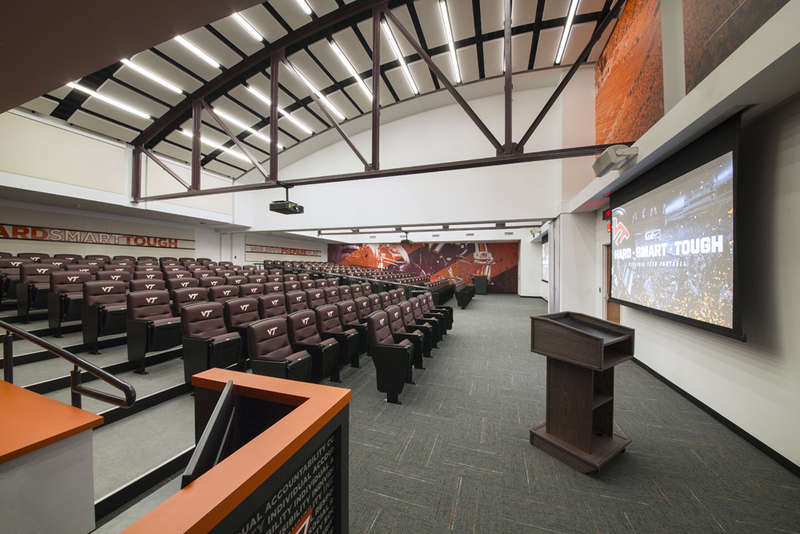 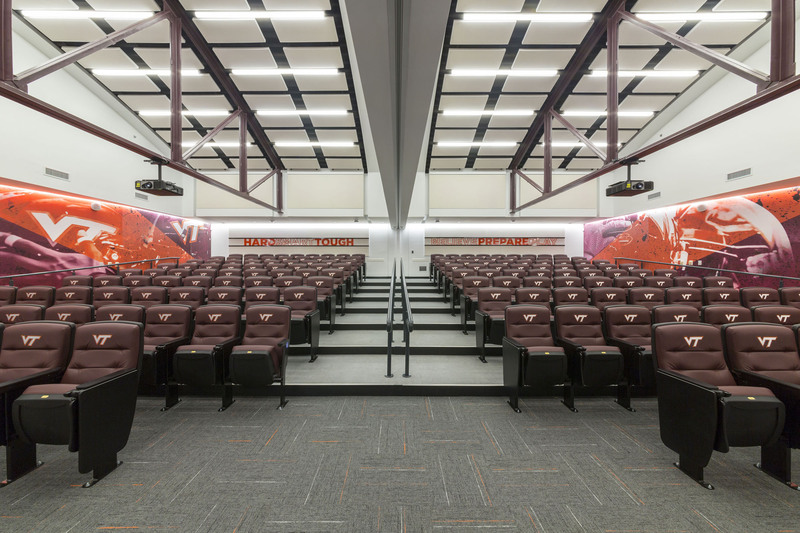 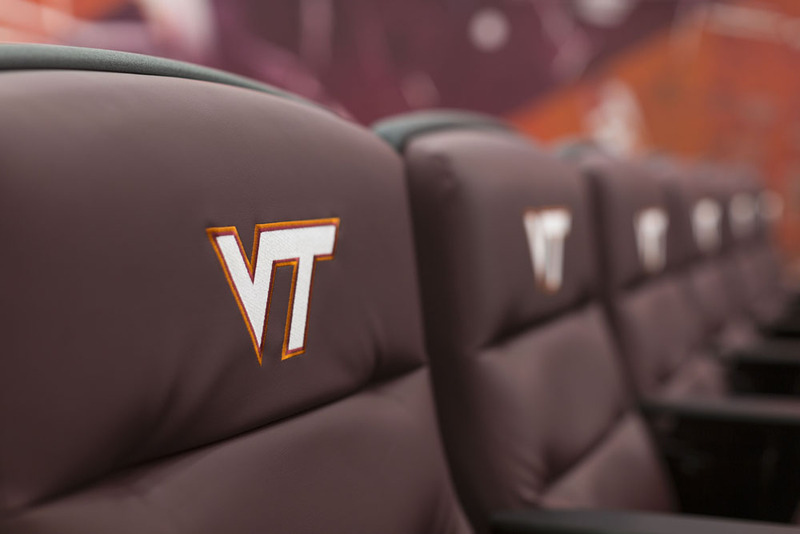 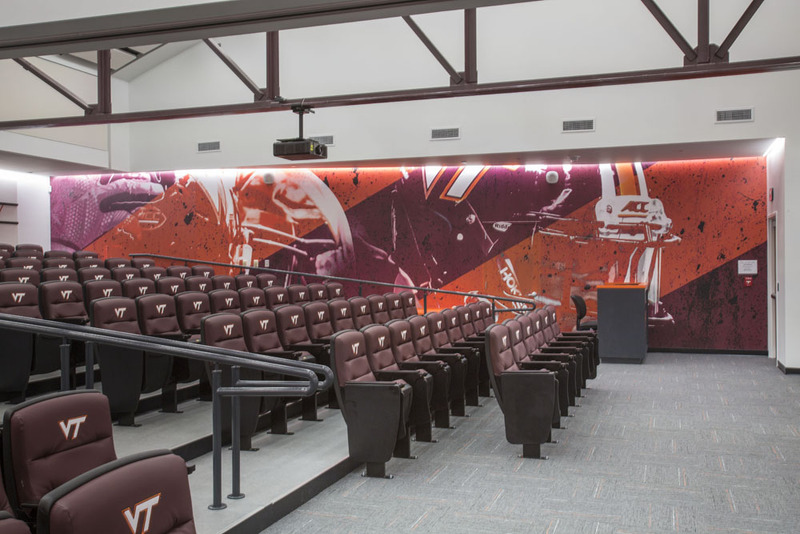 By uncovering the existing bow trusses to celebrate the considerable volume dormant for nearly two decades above the lay-in ceiling tile and adding tiered seating to optimize sight lines, Virginia Tech Football boasts a state of the art facility in a Power Five Conference. 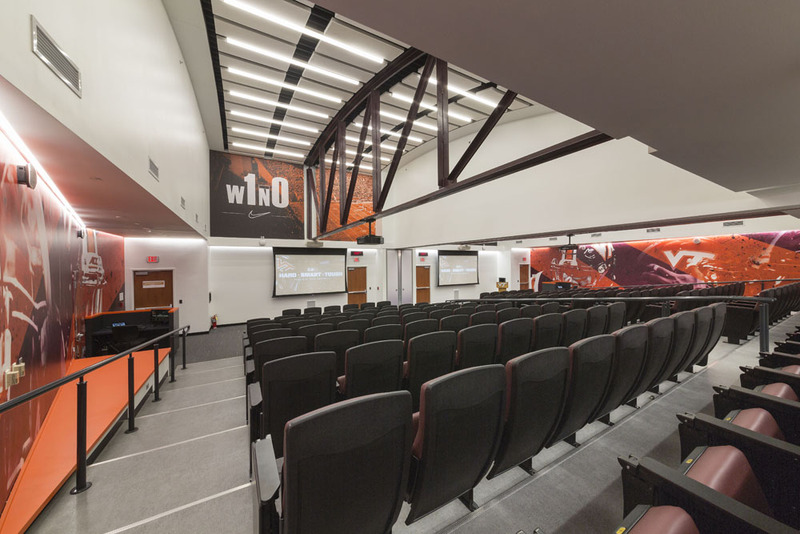 An electric Operable Partition accommodates separate Offense and Defense Meetings for both flexibility and efficiency.